To offer our “fabricator-partners” in the architectural surfacing industry innovative, high quality and value added materials and systems, along with expert advice; to help them optimize their fabrication process while achieving exceptional finished products. The team at Integra has been involved with the surface industry since the mid 1980’s and have extensive practical knowledge and experience with all facets of fabrication. 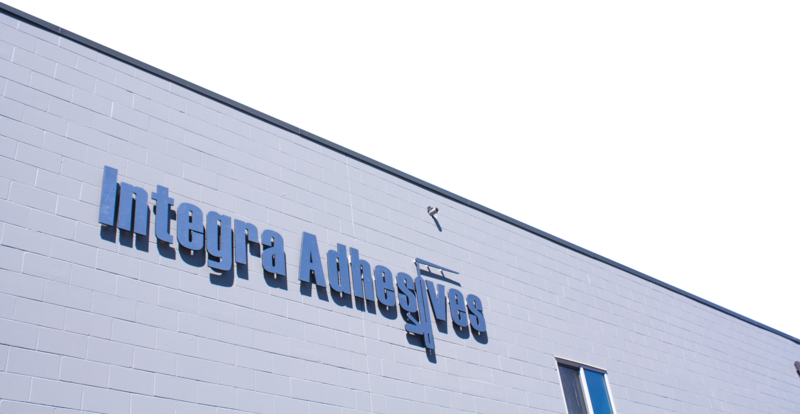 Couple this with Integra’s proactive approach to developing improved dispensing systems for increased performance, reduced breakage and less wasted materials, it is easy to see how Integra’s adhesive systems add to its customer’s bottom line by lowering overall fabrication costs. Cost effective products at competitive prices is how Integra is leading a revolution with its approach to market conditions. At the heart of the manufacturing process at Integra are pharmaceutical grade stainless steel chemical reactors designed to achieve the highest level of purity. The product of this is adhesives with optimum color and extended shelf life. Each production batch is processed under vacuum at elevated temperature to polymerize the monomers until the desired viscosity is achieved. The mixture is then rapidly cooled to prevent the adhesive from hardening in the reactor. At this point the mixture is stabilized and various additives (adhesion promoters – cross linkers – tougheners etc) are mixed in to achieve the final properties. Samples are retained and QA certificates from each batch are stored and are available to the fabricator on request. Integra Adhesives products are fully supported by a knowledgeable, technical support staff. A toll free support line for product information or technical assistance is available. Integra technicians provide color matching and performance testing for new materials at no charge. Fabricators may also request custom formulations to achieve specific properties.